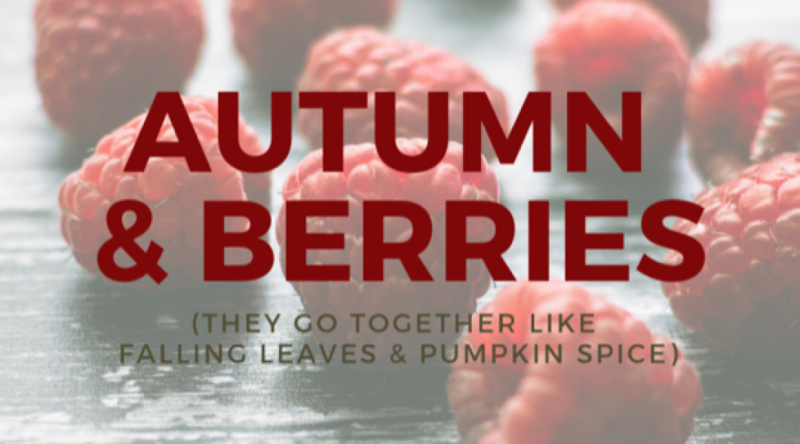 You’ll wanna try out these autumn-themed recipes immediately. With the start of October comes the first official days of fall. Starbucks is stocking pumpkin spice again. Christmas decorations are starting to pop up in stores. The evenings are growing longer and the temperatures are cooling down. 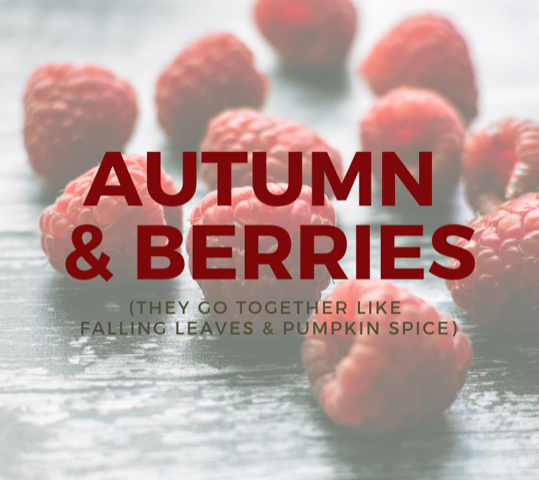 As autumn approaches, so does the shift from cool summer food trends to more wintery ones. These are some of our favorite fall-centric recipes, perfect to try out at home, for football game parties, school-related events, Halloween-themed get-togethers and more. Serve these burgers multiple ways! Feel free to experiment with different cheeses, buns, and sauces, or even serve as sliders the next time you’re hosting a large group. Our chicken burgers are healthier and lighter than a typical beef burger, and the strawberries mixed into the meat patties add a juicy kick. 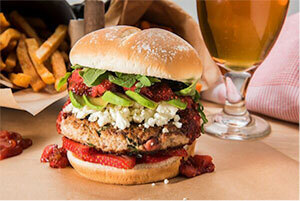 Top with our Mixed Berry Jalapeño Jam and this might become your new favorite burger. The patties also work well crumbled over salad or in lettuce-wraps, for those of you watching your carbs. 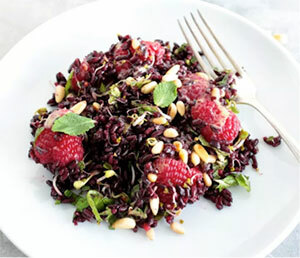 Perfect for your next dinner party, this salad from greenevi.com is vegan, gluten-free, and downright delicious. It features sprouts, mint, toasted pine nuts, and a tangy mustard vinaigrette, and offers plenty of pleasing texture and crunch. 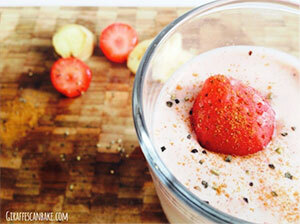 Also doesn’t hurt that it’s nutrient-packed and pretty as can be. 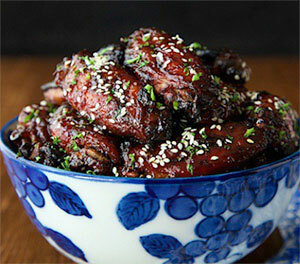 These bad boys are aching to be served at your next football get-together. They’re uniquely flavored and sure beat fast food chicken. As a bonus, if you click on the recipe link from thecafesucrefarine.com, it’ll also direct you to a link for a delicious Strawberry Balsamic Pizza with Chicken and Applewood Bacon, too. This strawberry-banana concoction from Giraffes Can Bake gets its autumn flavoring from the addition of cinnamon, ginger, and black pepper. The recipe calls for frozen strawberries and bananas but you can replace with fresh ones by simply adding ice to your desired consistency. 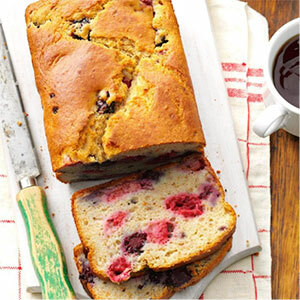 Try out this so-easy-to-make Double Berry Bread for the warmest, gooiest, quickest breakfast this side of the Mississippi (whichever side you’re on). All you gotta do is reheat a slice in the microwave or oven for a little bit in the morning and it’ll taste like you got up early and made it right then. We love it with a pot of – er, we mean a CUP of- coffee. 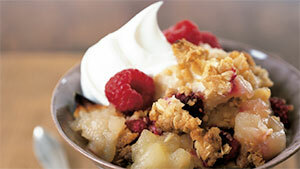 Who doesn’t love a good streusel? Buttery and crunchy and warm, this is one of our favorite fall classics. The combination of raspberries and apple give this version from Delicious Living the benefits of both fruits in each bite.